Few studies focus on cross-cultural differences in Chronic fatigue syndrome (CFS). 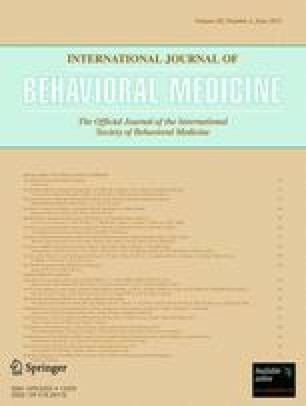 This study aimed to (1) compare fatigue severity and impairment, somatic complaints, psychological distress, and quality of life (QoL) in a population of Portuguese and Dutch patients; (2) explore the differential contribution of behavioral and cognitive determinants of fatigue severity; and (3) investigate the relation between fatigue severity and somatic complaints on one hand and QoL on the other in both populations. Eighty-five female patients from Portugal (Mean age = 47.54) and 167 female CFS patients from The Netherlands (Mean age = 44.93) participated in the study. All participants were surveyed for demographic and clinical characteristics, fatigue severity, somatic symptoms, psychological distress, (physical and psychological) QoL, physical activity, behavior regulation patterns, and illness representations. Cross-cultural differences were found in relation to working status, duration of fatigue symptoms, psychological distress, somatic complaints, and psychological QoL. Although behavioral characteristics and illness representations were significantly associated with fatigue severity in both Portuguese and Dutch patients, there were important differences in the determinants of CFS. Moreover, higher levels of fatigue and severity of other somatic complaints were related to poor QoL. These findings show cross-cultural similarities and differences in clinical characteristics and psychological determinants of CFS that are important in view of diagnosis and treatment. This study was carried out as part of a grant from the Portuguese Foundation for Science and Technology (SFRH/BD/47579/2008). The authors would like to thank the patients that participated in this research, the medical doctors from the health care institutions, and the volunteers from the patients associations in both countries. Knottnerus JA. Advisory report on chronic fatigue syndrome. Health Council of the Netherlands. 2005. http://www.gezondheidsraad.nl/sites/default/files/05@02E.pdf. Accessed 12 Jan 2012. Graded exercise therapy: A self-help guide for those with chronic fatigue syndrome/myalgic encephalomyelitis. NHS Foundation Trust and St. Bartholomew’s Hospital 2009. http://drleigh.org/wp-content/uploads/2008/12/chronic-fatigue-exercise-program-specifics.pdf. Accessed 20 May 2009.